When it comes to TweetDeck and its demise, the writing was on the wall. Sure, we had hopes there’d be something good to come out of the company’s acquisition by Twitter, but the apps have had nary an update since 2011. HootSuite (iOS, Android, BlackBerry): One of the most popular Twitter management tools, HootSuite offers multiple account management across various social platforms. Power users willing to pay $9.99/month get a load of perks, like Google Analytics and Facebook Insights integration, but the free account should do most end users just fine. And this one stands little chance of going bust anytime soon — in fact, it’s growing. Last September, the company picked up powerhouse TweetDeck competitor Seesmic. UberSocial (iOS, Android, Amazon Appstore for Android, BlackBerry): Formerly known as UberTwitter, the app just got a new update that boost performance while reducing memory consumption. Multiple-account management, cross-posting to Facebook, live previews, menu customization, inner circle contacts and gestures are just a few of the rockstar offerings that make for this awesomely fluid, and feature-packed user experience. 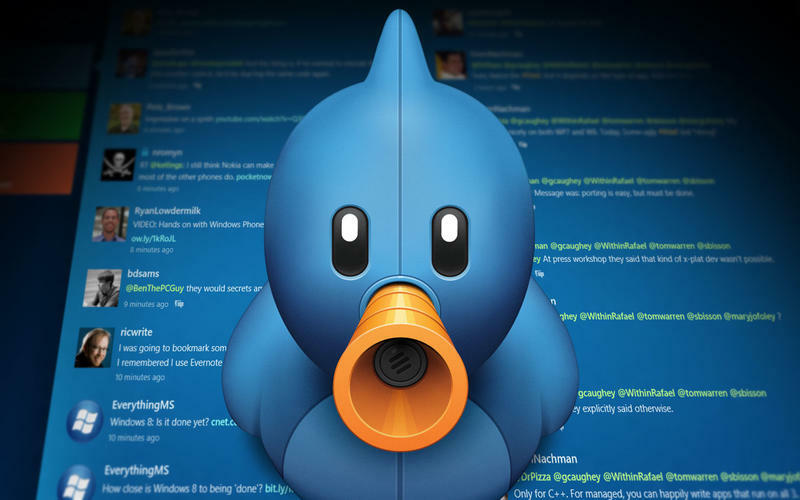 Tweetbot for Twitter (Mac): The $19.99 price tag will be steep for some users, but those begging for a seamless experience on their Macs will have a hard time finding a better option. And the price point will dissuade dabblers from burning up Tweetbot’s tokens. (If you don’t like the price, blame Twitter for imposing these caps on third-party devs.) In this case, at least it’s worth the price. 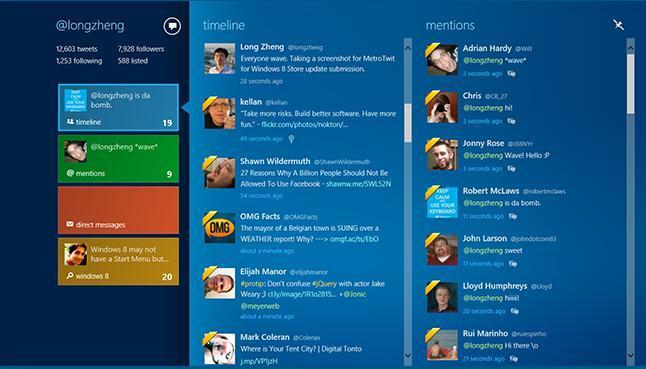 Multiple accounts, multiple lists, saved searches and, for die-hard TweetDeck users mourners, multiple columns view. If you use the Tweetbot iOS apps, you’ll really love the integration between them — not only do they have a unified look, but thanks to iCloud sync, they save your place in the stream, as well as keep track of tweets you have and haven’t read. Falcon Pro: Stunning UI, expansive features and stability have made this a go-to Twitter app for the masses. Sure, it had a little problem burning up its token allotment, but the reset has solved it for now, and the new $1.96 price tag will help keep the freeloaders at bay. At least we hope. Android only, though. Sorry. 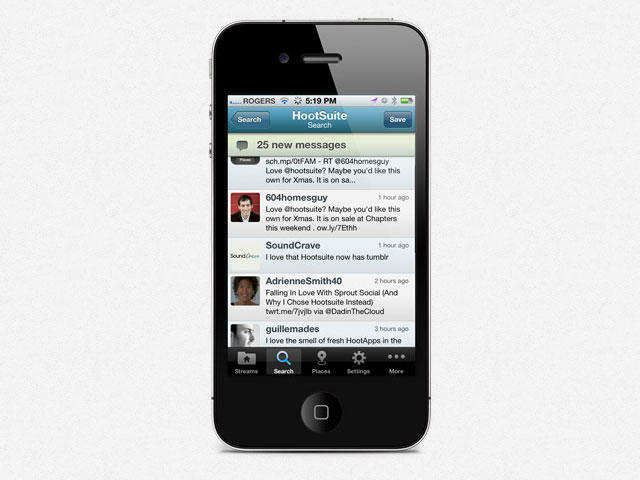 Scope Beta: Fun, visual way to stay on top of several social networks at once. Downside? You have to request an invitation. (It’s in beta, remember?) Once you’re in, you can enjoy the experience using your Android, Amazon device or BlackBerry. The best choice for a Twitter client depends on individual preference, so no doubt, this short list won’t include everyone’s picks. So if you have a hot lead on an awesome Twitter application, let us know. Tell us your pick, the platform you use it on and what it costs in the comments.